Our Reel to Real party was a huge success this year! With great guests, food, and drinks; this party shaped up to be one of our best fundraisers yet. 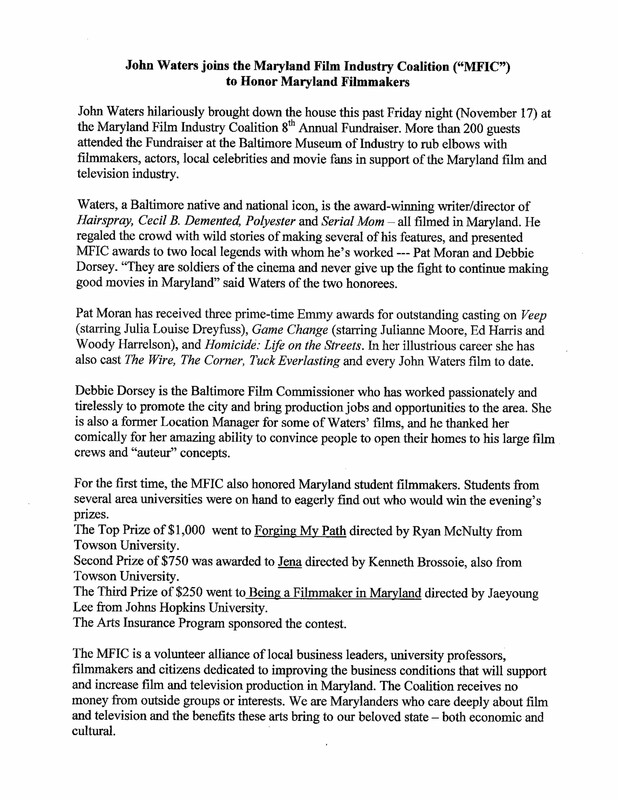 Thank you for everyone’s continued support of Maryland filmmaking! Check out our press release below for all of the details if you missed this year’s event.